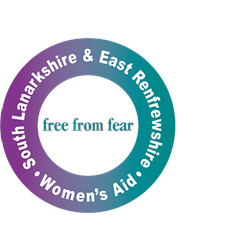 Women’s Aid South Lanarkshire and East Renfrewshirehas delivered domestic abuse services across South Lanarkshire and East Renfrewshire for more than 30 years. We provide an outstanding level of service provision to support the needs of women, children and young people who have experienced, or are presently experiencing domestic abuse. Do you have 1-2 hours every 4-6 weeks and an interest in supporting your local Women’s Aid group? If you have a strong interest and knowledge of gender based violence and gendered inequality, then one of the largest Women’s Aid groups in Scotland could put them to use. Women’s Aid South Lanarkshire & East Renfrewshire (WASLER) has delivered domestic abuse services across South Lanarkshire for over 30 years and in recent years East Renfrewshire and are currently looking for women to join our Board of Directors. For an informal chat, please contact WASLER’s CEO, Heather Russell directly on 01355 249897. We are committed to equal opportunities and diversity and welcome applications from all sections of the community. We would particularly welcome applications from women in black and ethnic minority and /or the disability community as these areas are currently under represented on the Board. Please note that we can only accept applications from women under Schedule 9 (Part 1) of the Equality Act 2010 and successful candidates will be subject to PVG checks.